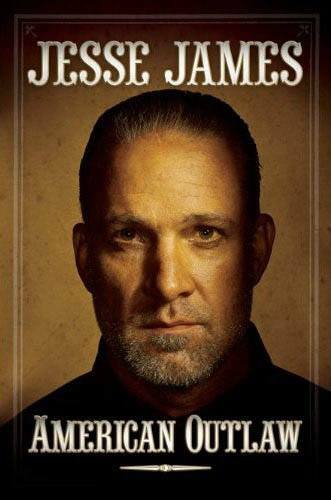 Jesse James has led a violent life. He has survived lower depths, faced harder times, and beaten down more private demons than most—and lived to tell his story with honesty, introspection, and humility. His story is raw, real, and comes straight from the heart. He’s tough as nails and riding hard through life, with plenty of wisdom to share about taking a hit and coming back up. In American Outlaw, Jesse reveals all: from his volatile upbringing and troubled relationship with his father to his wild days of car thieving and juvenile detention; from knocking heads as a rock ‘n’ roll bodyguard to his destructive drinking and barroom brawling; from building an empire from the ground up with his own two hands to marriages marked with both happiness and gut-wrenching pain; from living inside the hottest level of paparazzi hell to rehab and making peace with his past. This is the self-portrait of a flawed but determined everyman: rebel, outlaw, gear head, artist, entrepreneur, lost son, and fiercely committed father. Jesse James is everything you imagined him to be—and more than you ever expected.